Spring Break is over, so that means it’s time to start thinking about summer vacations. The farther in advance you plan, the better the prices and availability will be. Last-minute trips can be fun, but I love anticipating a trip. So, right now is a great time to start thinking about summer travel. When I was a kid, my father was in the military and we usually took a long trip each summer. By long, I mean two or more weeks, occasionally up to his full 30 days. These days that’s far less common, a week or so seems more typical. If you are leaving the country, longer trips make more sense. Last time I left the country I was gone 10 days. It was long enough to get used to the time change and really enjoy the sights. A long weekend is enough to see one thing that’s within a few hours, and if you can tack on a few more days, even better! 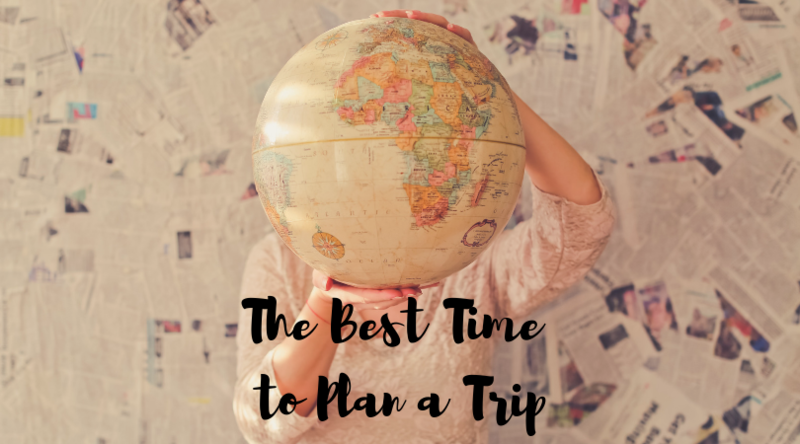 I know, it’s hard enough to budget your regular expenditures, but without having an idea of how much you can spend, planning a trip is difficult. In my experience, the biggest variable is transportation. If you are flying, fares are unpredictable; far enough in advance, you can often get great deals. Lodging is a little more consistent in price if you travel regularly you probably already know what rooms typically cost. Some areas will be a bit higher, like NYC, and some will be on the low end, like near many national parks. It pays to be flexible with dates, which is another reason to plan early. If you are requesting time off from your job, there might be other people wanting the same dates, or some seasonal reason you can’t take time off. Talk to your employer before you plan a trip so you don’t end up with expensive change or cancellation fees. Many travel websites have date selectors that will show you pricing around the date you select. For instance, the Southwest Airlines site calls it the Low Fare Calendar. You can see the lowest price for flights on each day, often it is worth an extra night in a hotel (especially for a family) to stay one more day. Google Flights does the same thing with the addition of showing pricing on many airlines at once, and if you have location enabled on your device, it will recommend random bargains based on travel from your current location. Sometimes visiting a place in the off-season can be far less expensive and will give you a very different experience. An obvious example is visiting a ski destination in the summer, or a coastal area in the fall or winter. Prices for lodging should be much lower, but the downside is that some services might be limited, like restaurant hours. To find out details like that, TripAdvisor and Yelp can be very helpful. TripAdvisor actually has a forum where you can ask questions and share information. When I lived at the coast, I was active in answering questions about the area I lived in; they ranged from restaurant recommendations to the best time of year to visit to offbeat local attractions. Many hotels and restaurants are responsive on social media with answers as well. Of course, you can always call businesses to ask, but why waste time on the phone if you don’t have to? I don’t mean you should have reservations about your trip, I mean you need them for your trip, many places other than restaurants will reserve access. Here in Texas, there is a state park that is incredibly popular, and you can’t even get in without a reservation anymore. It’s definitely a good idea to find out if you need a reservation, or if you can get one just to guarantee access. I would hate to plan a trip around some activity, then find out I wasn’t able to do it! Don’t forget to reserve a camping spot if that’s how you plan to travel. Most state and national parks offer reservations as much as 11 months in advance, so you can reserve a spot as soon as you know your travel dates. The first travel discount that comes to mind is using a flight or hotel discount site like Expedia or Priceline. There are many other ways to save money on a trip, though. Try searching for Groupon deals at your destination or sign up for access to a local newspaper to find discounts or free events. Many large cities even have Facebook pages or websites dedicated to free or cheap activities. You can filter the events to find kid-friendly ones, or by type of attraction like museums. A few easy ways to save on food while traveling are to buy your own snacks and beverages at a grocery store. Many hotels will have a small refrigerator in the rooms, you can even keep easy breakfast items handy like yogurt and milk. If you are traveling with kids, the hotels that include breakfast are a fantastic savings. You can even grab a few pieces of fruit to eat later at many of the included buffets. Lunch out is often a better value at higher-end restaurants, it’s the same food as dinner in smaller portions and lower prices. Unless it’s a place that is in a “business” area, lunch is usually less crowded, too. If you have a small appetite, don’t be afraid to ask your server if you can order from the lunch menu at dinner time. I have learned that many places will allow seniors to order from the lunch menu all day. Don’t forget to look for restaurants where kids eat free. The Traveling Parent has a list that is regularly updated, plus a downloadable list if you want an off-line version. One of the easiest ways to save money for a trip is to cut your current expenses like your monthly bills. BillCutterz is here to help you with that. Simply take a few minutes to sign up if you aren’t already a customer and submit your bills or add new ones. Then our team of Savings Experts will work their magic on your bills while you focus on how fun your vacation is going to be!